Today we have another giveaway from the folks at Mary Meyer. I’ve always been a fan of their Taggies, but I was excited to get to try another product line them. Mary Meyer sent us some toys from their organic line and my daughter adores them. The Mary Meyer Organics line is healthy, safe, environmentally friendly. 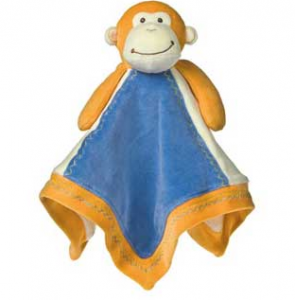 They use only 100% certified organic cotton fabrics and stuffing to produce soft, safe and colorful toys for children. They are all made without the use of any harmful pesticides, toxic chemicals or dyes. All colors are tested to meet or exceed the most stringent global safety standards. 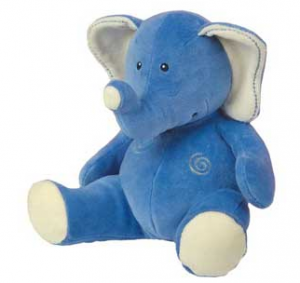 The toys from this line make the perfect baby gift; a soft, natural toy with all the durability and wash-ability needed to survive as a child’s companion. Mary Meyer sent us toys for two animals from their Organics line to try out. Sarah’s favorite toy out of the bunch is probably the Organic Monkey Rattle Ring. The toys are all soft, very colorful and bright, surface washable, and I love that they’re organic. We don’t always go out of our way to buy organic products, but I love not having to worry about what my baby girl is playing with. On a parenting note, I personally love that the rattle is a very soft noise. I love babies playing as much as the next mama, but I don’t love having to try to ignore noisy toys. As she plays, she is very happy making the rattle make noise but the rest of us are barely able to hear it… that’s my kinda toy! If you don’t want to wait to see if you’ve won the giveaway, use the coupon code SAVERS30 for an additional 30% off Organic toys. These toys are already priced at 25% off, so you’ll be getting an additional 30% off! We’ll have 2 winners! 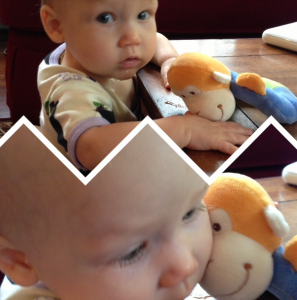 One reader will win the Monkey Set and one reader will win the Elephant set. You have a couple of chance to win, so feel free to enter with one or all of them. 1. Leave a comment below telling me why organic baby toys are important to you. 2. Tell me in a comment below which of the Organics toys are your favorite. 3. Like Southern Savers and Mary Meyer Toys on Facebook and tell me you have in a comment below.